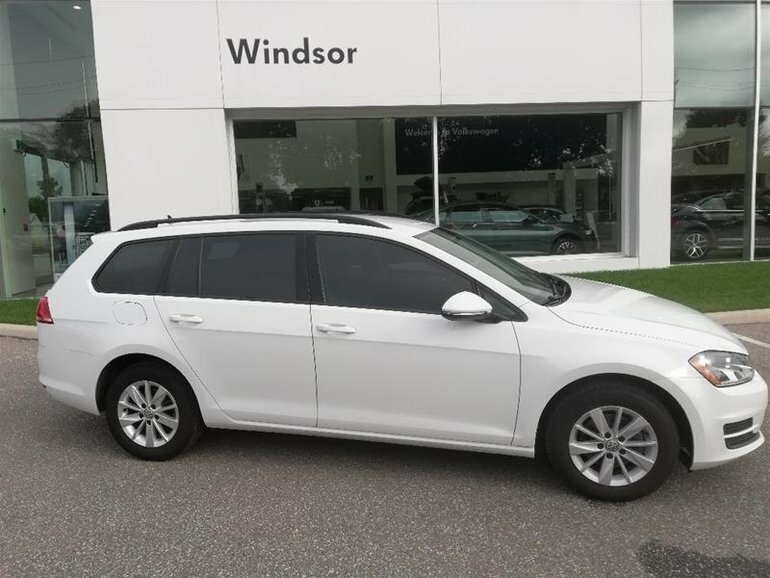 Our 2015 Volkswagen Golf Sportwagon 1.8T Trendline with a Pure white Exterior, on a Gorgeous Titan Black Leatherette Interior features Bluetooth, Power Locks and Windows, Heated Seats and more. It was a trade-in and impecably cared for and serviced at Volkswagen of Windsor. It recently went through our 112 point inspection as a CPO unit and you can be driving it for $66.51 tax included a week for 72 months OAC! Volkswagen of Windsor is committed to providing the highest levels of customer service through our unsurpassed knowledge of the Volkswagen vehicles that we sell and service. We are very committed to building relationships with our customers and for them to become a part of our Volkswagen family where we treat you like a friend and family member, not a number! Did you know that we take ANYTHING in on TRADE? Interested by the 2015 Volkswagen Golf Sportwagon 1.8T Trendline at w/Tip ?